Hello everyone! It's been a long time since I've updated. We bought a place and the move has been pretty hectic! It's slowly coming together and I can't wait until we organize and decorate everything. We also went to Toronto for Thanksgiving, which I will post about in my next post, stay tuned! 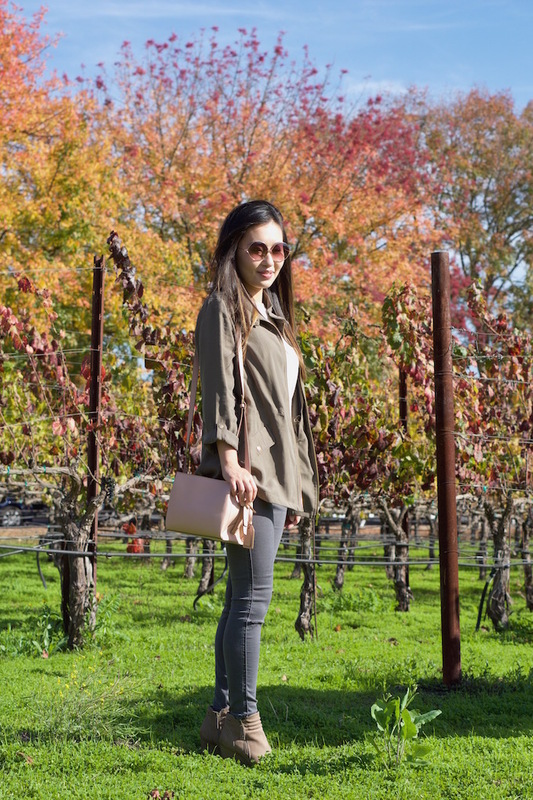 Couple of weeks back, I visited Napa to get some last bit of Fall foliage and did a little bit of wine tasting. As it wasn't that cold, I wore a light safari jacket with a scarf. I recently bought high waisted jeans from ASOS and it pairs so well with boots, not to mention it really helps elongating my legs! 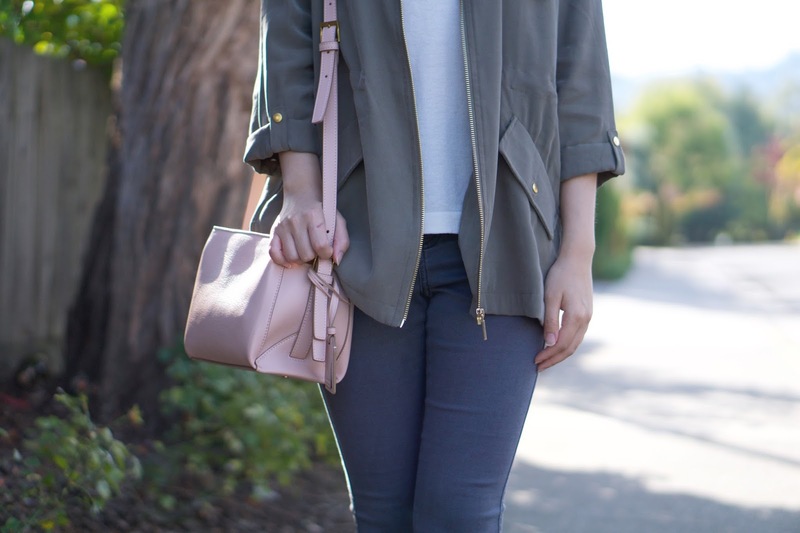 I wore one of my all time favorite booties, the same I wore to London in this post. If you've never heard of Rabeanco before, it was founded in Hong Kong and they source their leather from Italy. Their designs are simple yet elegant. It's high quality on a budget. I snatched this crossbody when I visit Hong Kong a couple months ago at almost 30% off! Check it out here. This outfit is so cute, I love your scarf so cute!